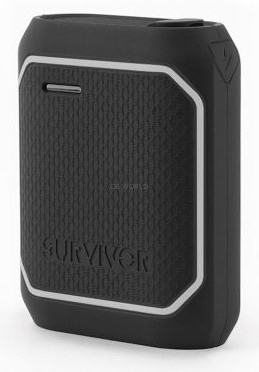 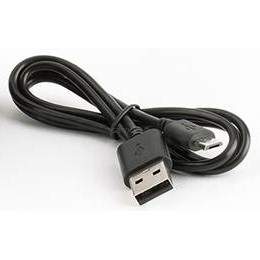 Impact-Resistant Designed to survive 6.6 foot (2-meter) drops on to concrete, Survivor Power Bank is tested to MIL-STD 810-G standards for drop testing. The rechargeable battery cells inside are surrounded by shatterproof polycarbonate and textured, abrasion-resistant silicone for extra grip. 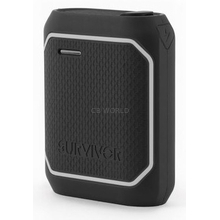 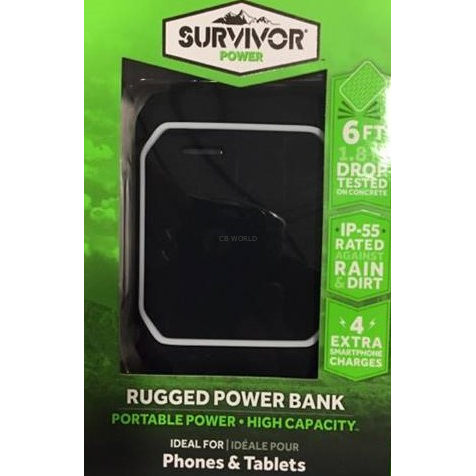 Weatherproof Designed for an IP55 rating against dust and water, the battery s charge and power ports, and a built-in emergency flashlight is protected by a self-sealing flap. 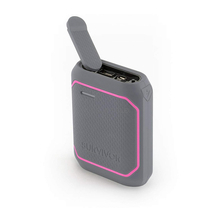 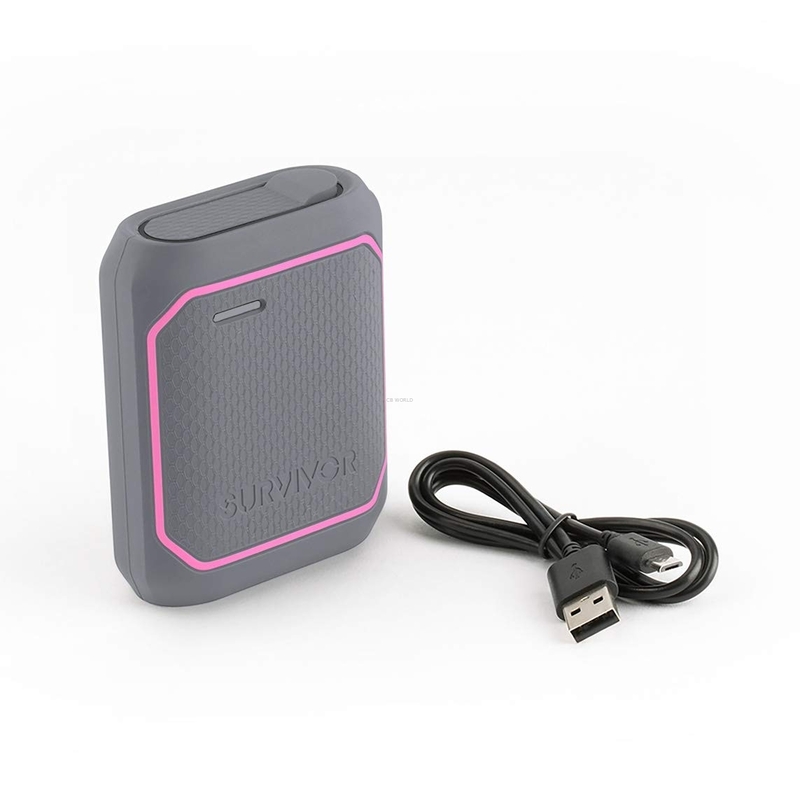 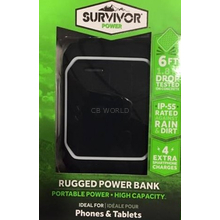 Powerful Survivor Power Bank delivers 10,050 mAh of charging capacity, designed to deliver up to 4 full recharges for iPhone or Samsung or fully recharge your iPad or Tab. 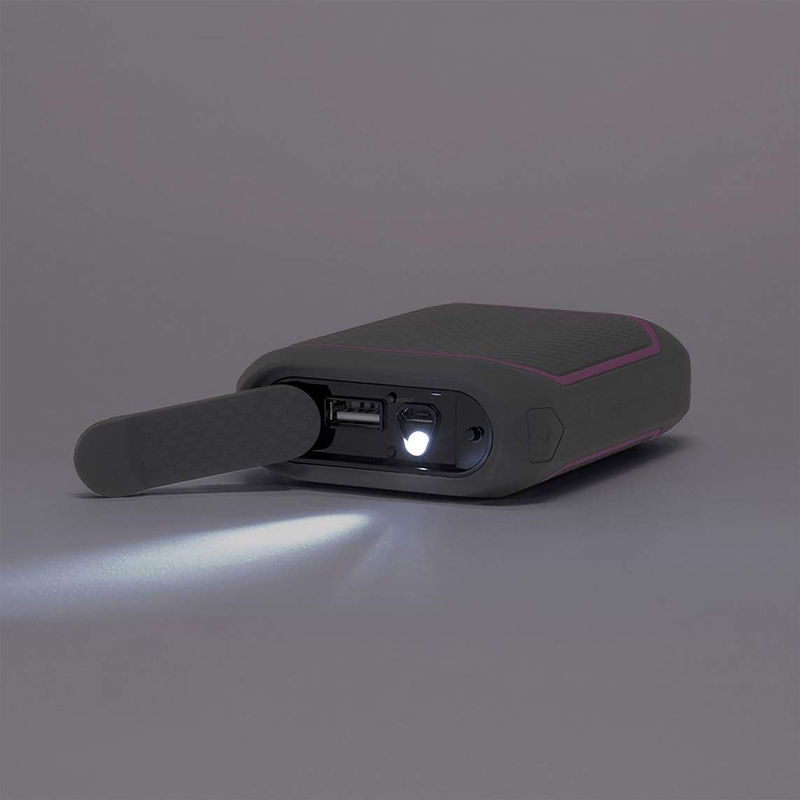 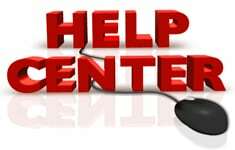 With LED fuel gauge indicates when the battery pack is fully charged and a bright built-in white LED provides an emergency/backup flashlight when you need it.